TRANSFOR-M (Transatlantic Forestry Master), a unique dual degree program which offers qualified students the opportunity to earn, in two years, a Master of Forestry (MF) degree from UBC and a master’s degree from one of the five participating universities in Europe. This university partnership is a unique course-based educational experience, which provides MF students with the opportunity to explore Forestry both in Europe and Canada. The overreaching aim of the program is to educate the next generation of globally minded forest and environmental managers and scientists on the cultural differences, diverse historical contexts, and differing economic drivers that exist in Canadian and European natural resource management approaches. By drawing on the expertise and opportunities through UBC MF degree and various graduate programs across five forestry schools in Europe, we have been able to develop a graduate program with unparalleled possibilities and experiences for participants. Earning two masters degrees from two world-class forestry schools enhances the opportunities available to graduates. Taken separately, both degrees would take three years to complete. The dual degree program option makes it possible to earn both degrees in two years of study by allowing students to be enrolled continuously through this period and by allowing students to apply 30 credits earned as part of the UBC MF degree towards the European degree. In order to receive both degrees students must fulfill the individual program requirements for each institution’s degree. Admitted students register in the MF program at UBC for a two-year period. Within that timeframe, one year is spent in Europe completing degree requirements at the chosen partner institution, and the second year is completed at UBC-Vancouver completing the MF degree requirements, resulting in conferral of two separate Master’s credentials. 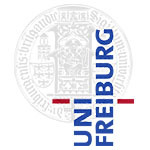 Albert-Ludwigs-University Freiburg (Germany) – Faculty of Forest and Environmental Sciences. Freiburg is a university city with international flavour and close proximity to France and Switzerland. From the scientific point of view, Freiburg’s surroundings, the Black Forest and the Rhine Valley, offer many different forest environments and various ways of managing them. 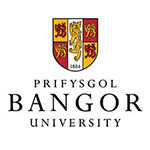 Bangor University (Wales, UK) – School of Agricultural & Forest Sciences. Bangor University is a world class research university. Bangor is located in a breathtaking landscape with panoramic views and is rich with history, culture and charm. 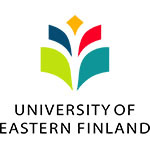 University of Eastern Finland (Finland) – Faculty of Forestry – The University of Eastern Finland is one of Europe’s premier institutions to study forestry, with an emphasis on sustainable use of boreal ecosystems and forest technology. 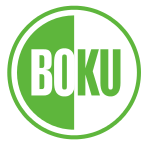 University of Natural Resources and Life Sciences (Austria) – BOKU is a teaching and research centre for renewable resources which connects natural sciences, engineering and economic sciences. University of Padova (Italy) – one of Europe’s oldest seats of learning, the University of Padova is a multi-disciplinary university that aims to provide its students with both professional training and a solid cultural background. Students will work with TRANSFOR-M UBC and European Host University Liaison Officers to develop a learning plan that will outline courses to be taken during the 2-year program. Each student will pay the UBC MF tuition fees for two years, but will receive a tuition fee waiver at the Host University in Europe.